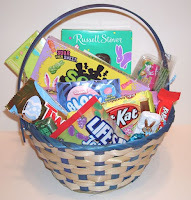 Easter baskets for teens and be somewhat tricky. They are at that age where they are too cool to admit they enjoy Easter baskets. Of course you don't want to give them ones with a plush bunny in it or silly little toys. This is one of our most popular Easter baskets for teens. 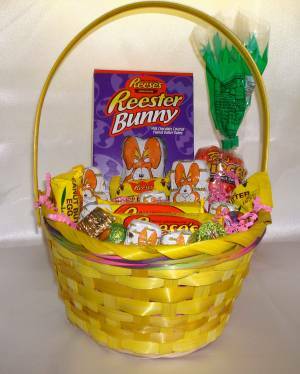 It's filled with sour candies, chocolate candies, bubble gum , a variety of the most popular candy bars in the shape of eggs and of course a chocolate bunny. 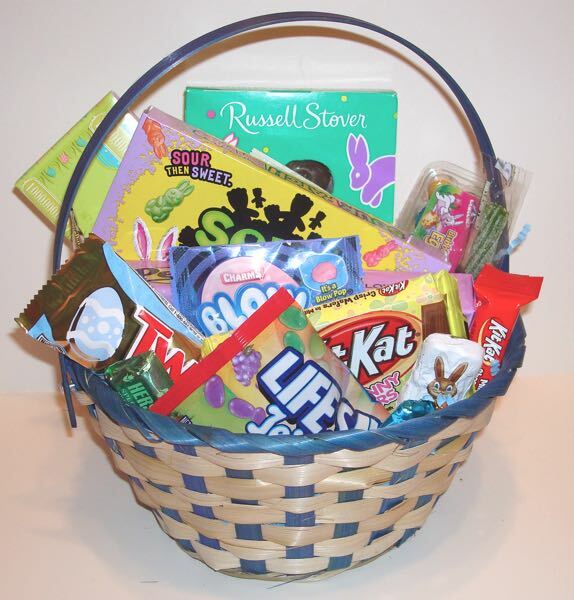 Actually this is a perfect Easter basket for adults as well due to the variety of different types of candies. 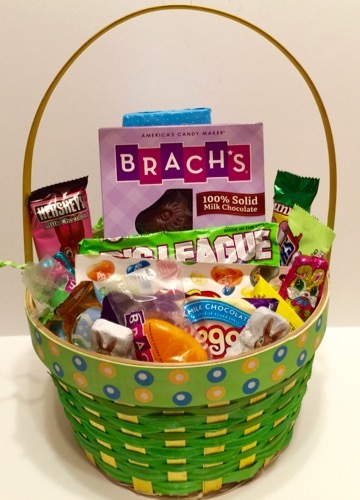 In this Easter Basket you will find a Brach's chocolate bunny, peeps , Jelly Belly jelly beans, Cadbury mini eggs, Hershey bunny, Big league chew gum, snickers eggs along with a variety of other fun Easter candies. We also have an Easter basket filled with nothing but snickers candy. 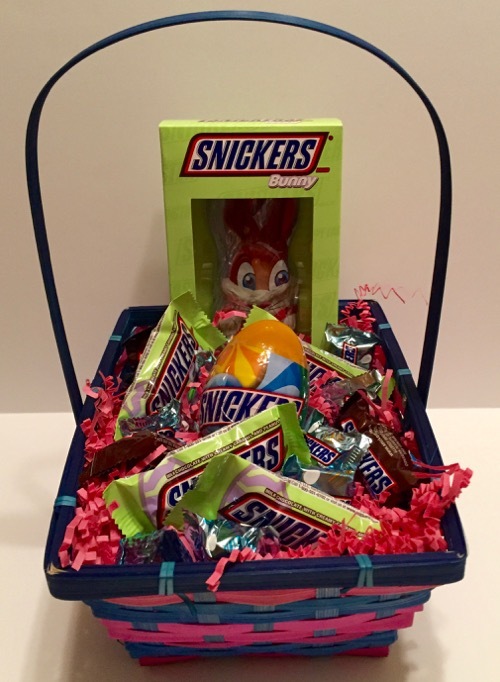 You get a large snickers bunny, snickers eggs, snickers fun size and mini bars plus a plastic egg filled with snickers. I hope we have helped you find an Easter basket for your teen. We have many other Easter baskets to choose from, these are just a few suggestions. If there is something you have in mind , but don't see give us a call. Many of times we can customize a basket that will be just what you are looking for .